The Union for the Mediterranean (UfM) is an intergovernmental organisation bringing together the 28 European Union Member States and 15 countries from the Southern and Eastern shores of the Mediterranean. It provides a unique forum to enhance regional cooperation and dialogue in the Euro-Mediterranean region. The Secretariat of the Union for the Mediterranean, based in Barcelona and the first permanent structure dedicated to the intergovernmental Mediterranean partnership, is the operational institution that empowers this regional dialogue between the UfM Member States and stakeholders, fostering synergies among them and promoting cooperation projects and initiatives with a direct impact on the lives of people. the UfM is based in Barcelona. 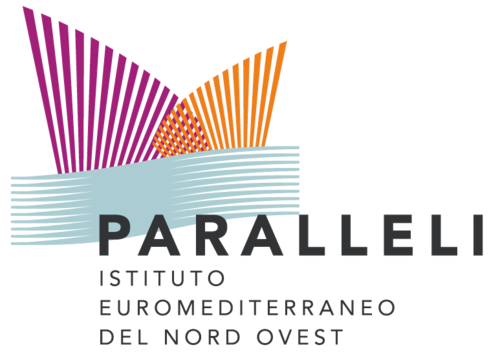 The Euro-Mediterranean Regional and Local Assembly (ARLEM) is an assembly of local and regional elected representatives from the European Union and its Mediterranean partners. It was set up in 2010 by the European Committee of the Regions – the European Union’s political assembly of regional and local representatives – and represents the territorial dimension within the Union for the Mediterranean, allowing elected representatives from the three shores of the Mediterranean Sea to represent their local and regional authorities politically, maintain political dialogue and promote interregional cooperation. The Euro-Mediterranean Regional and Local Assembly aims to give a territorial dimension to the Union for the Mediterranean; promote local democracy, multi-level governance and decentralised cooperation around the three shores of the Mediterranean; encourage North-South and South-South dialogue between local and regional authorities; promote the exchange of best practice, knowledge and technical experience in the areas for which local and regional authorities are responsible; promote regional integration and cohesion. The Adriatic-Ionian Euroregion (AIE) is an international association established on 30 June 2006 in Pula (Croatia) for the promotion of trans-national and inter-regional cooperation between regions and local authorities of the Adriatic and Ionian basin. The association counts 29 members (Regional and Local authorities from Italy, Croatia, Greece, Bosnia and Herzegovina, Montenegro and Albania). All members are units of territorial self-governments and most of them are NUTS2 (the first level below State, in conformity with the European Community nomenclature NUTS, and with the administrative organization of each country). The total extension of the involved territories is about 200.000 square kilometers with an estimated population of around 20 Millions of inhabitants. UCLG is a world organisation of local governments and their networks that voices their views and concerns to international organisations and the United Nations. It aims at the recognition of the role of local governments in the international system and the mobilisation of local actors in favour of the Millennium Development Goals of the United Nations. It promotes peace through “city diplomacy” and innovation in local governance. The Mediterranean occupies a special place in UCLG because of the great number of direct members in all three North, South and East regions, in addition to the numerous cooperation initiatives linking local governments, and common policies for regional development. Following the MED URBS programme, a culture of trans-Mediterranean networks of local governments was created in the Mediterranean, reinforced by the Euro-Mediterranean Partnership: MedCities, Arc Latin, COPPEM (Standing Committee for the Euro-Mediterranean Partnership of Local and Regional Authorities), CPMR Intermediterranean Commission, etc. The creation as of 2006 of a Mediterranean Commission within UCLG was seen as an opportunity to develop exchanges and to take into account the specific interests of Mediterranean local and regional authorities, not only with regards to Euro-Mediterranean relations, but also concerning strategic issues such as decentralisation, urban development, the environment and employment. The Latin Arc network is the result of territorial cooperation experiences carried out during the nineties, which led to its official foundation as an association in 2002. Located in the North-Western Mediterranean, Latin Arc is a macro-region that is characterized by a series of common cultural, historical, socio-economic, geographic, climatic and environmental features that make up its identity in the European context. Latin Arc, a platform for technical and political cooperation, is comprised of local and intermediate governments from the Mediterranean region. Currently, its members are Spanish Provincial and Island Councils, French Departmental Councils and Italian Provinces and Metropolises, which account for 10% of the overall EU population and territory. The association provides a space where local governments can devise integrated actions in different strategic domains with the goal of enhancing economic and social cohesion in their territories. MedCities is a network that gathers cities from all shores of the Mediterranean basin. It was created in Barcelona, in November 2011 as a vehicle for empowering municipalities in respect of urban development issues. Medcities promotes the elaboration of city development strategies and the implementation of urban projects, and advocates for the reinforcement of the role of local authorities in the Mediterranean region. During the last 25 years, MedCities has promoted urban sustainable development as a way to improve living conditions in the Mediterranean Region. The objectives of the network are to reinforce the role, competences and resources (institutional, financial and technical) of Mediterranean local governments in the adoption and implementation of sustainable local development policies ; to launch and develop direct cooperation projects and partnerships between its members and with other cities and organisations ; to develop awareness and common responsibility with regards to policies of sustainable development, environment conservation and social cohesion of Mediterranean cities ; and to develop citizens’ awareness and involvement in the sustainable development of their towns and cities. UNIMED, the Mediterranean Universities Union, founded in October 1991, is an association of Universities from the countries of the Mediterranean basin. It counts 112 associated Universities coming from 23 countries of both shores of Mediterranean (data updated to June 2018). UNIMED’s aim is to develop university research and education in the Euro-Mediterranean area in order to contribute to scientific, cultural, social and economic cooperation. UNIMED acts in different fields: tangible and intangible cultural heritage, economics, energy, environment, management of water resources, transports, health, media, new technologies, history, tourism. The image that better represents our association is that of a University Without Walls. UNIMED carries out the following activities in favour of the associated Universities: promotion of the international dimension of universities; planning and fund-raising activities: information on call for proposals and opportunities offered by international and European Commission, partnership search, technical assistance, planning; dissemination; promotion of mobility in the Euro-Mediterranean region, for students, researchers and academic staff; technical assistance for the enhancement of quality assurance in university education; creation of thematic Sub-Networks to foster the scientific cooperation within specific fields; organization of meetings, discussions, seminars and round tables both at a national and international level; training for academic and administrative staff of Universities, particularly for the personnel of international relations offices. The European MSP Platform is an information and communication gateway designed to offer support to all EU Member States in their efforts to implement Maritime Spatial Planning (MSP) in the years to come. Funded by the EU Directorate General for Maritime Affairs and Fisheries (DG MARE), the European MSP Platform acts as the central exchange forum for officials, planners and other skateholders of coastal EU members. Digi-gate for Marine and Maritime Knowledge in the Mediterranean. The Virtual Knowledge center (VKC) is a regional networking platform for sharing knowledge and for supporting the development of the blue economy. Part of the Union for the Mediterranean, its ultimate objective is to contribute to the development of an interactive Blue Economy Community. The VKC web based portal aimed at providing a more strategic, integrated and coordinated approach to policies and actions impacting on the sea; inter-systems co-operation and synergies across sectors and borders at regional, sub regional and national level; and a common and coherent framework, bearing in mind regional specificities of the Mediterranean, to enhance exchange and dissemination of knowledge, networking and capacity-building. The general objective of the Institut de la Méditerranée is to offer the partners of its Board of Directors (Conseil Régional PACA, Conseil Général Bouches-du-Rhône, Mairie de Marseille, CCIMP, Euromed Management) expertise and project management in the great Euro-Mediterranean region. Through its work and initiatives, the Institute thus contributes to establishing itself as an indispensable partner of the Euro-Mediterranean cooperation mechanism. The various activities of the Institute are organized around two main complementary functions: the lobbying function and the function of identification and follow-up of the projects for the founding members. The Bologna Charter is aimed at the strengthening of the role of the Coastal Administrations in the context of European policies and initiatives at the Mediterranean scale – coastal protection, integrated management, adaptation to climate change – the “Charter” also promotes a Macro-Project initiative for the Programming Period 2014-2020, designed for a coherent Mediterranean macro-thematic and multi-sectoral strategy, open also to the South and East Meditteranean coasts. BLUEMED is the research and innovation Initiative for promoting the blue economy in the Mediterranean Basin through cooperation. It is the strategy of reference for the Mediterranean countries to work together for a healthy, safe and productive Mediterranean Sea. The BLUEMED Initiative will contribute to the creation of new ‘blue’ jobs, social well being and a sustainable growth in the marine and maritime sectors through the implementation of its Strategic Research and Innovation Agenda, the BLUEMED SRIA. The BLUEMED SRIA outlines a set of key challenges for the Mediterranean and particularly knowledge gaps, specific activities enabling the blue growth as well as measures for capacity creation and skills’ enhancement. Sectors of interest include ecosystems, climate change, biotechnologies, aquaculture, fisheries, tourism, shipbuilding, transportation, observing systems, data, off-shore platforms, cultural heritage, spatial planning. In 2015 the Ministers of the Union for the Mediterranean (UfM) agreed on “the need for the Mediterranean region to make the best use of the potential of the blue economy, to promote growth, jobs and investments and reduce poverty, whilst safeguarding healthy seas”. The UfM Ministerial Declaration invited the participating countries to explore avenues for sub-regional cooperation. In 2016, the Foreign Affairs Ministers of Algeria, France, Italy, Libya, Malta, Mauritania, Morocco, Portugal, Spain and Tunisia envisaged a West Mediterranean partnership. In response to that vision, in April 2017 the European Commission launched the initiative for the sustainable development of the blue economy in the Western Mediterranean region. The objectives of the WestMED Initiative are to establish a safer and more secure maritime space; a better governance of the seas; and a smart and resilient blue economy. The European Institute of the Mediterranean (IEMed), founded in 1989, is a consortium comprising the Catalan Government, the Spanish Ministry of Foreign Affairs and Cooperation and Barcelona City Council. It incorporates civil society through its Board of Trustees and its Advisory Council formed by Mediterranean universities, companies, organisations and personalities of renowned prestige. In accordance with the principles of the Euro-Mediterranean Partnership’s Barcelona Process, and today with the objectives of the Union for the Mediterranean the aim of the IEMed is to foster actions and projects which contribute to mutual understanding, exchange and cooperation between the different Mediterranean countries, societies and cultures as well as to promote the progressive construction of a space of peace and stability, shared prosperity and dialogue between cultures and civilisations in the Mediterranean. Adopting a clear role as a think tank specialised in Mediterranean relations based on a multidisciplinary and networking approach, the IEMed encourages analysis, understanding and cooperation through the organisation of seminars, research projects, debates, conferences and publications, in addition to a broad cultural programme. Based in Genova, since its creation in 1992, the Centre has been carrying out information and reflection activities on the themes of European unification at the local, national and international levels. A non-profit organization, the centre works on research, studies, documentation and initiatives in the field of European culture. In Europe, it has a tradition of relations with the EU institutions and similar structures in Italy and in the rest of the European Union. It also collaborates with the University of Genova and with local organizations and associations at different levels. Founded to promote an innovative and open view on international processes, CeSPI has always cultivated an end-to-end/comprehensive perspective on world affairs, combining an analytical approach to the dynamics within Europe with a constant focus on emerging realities, globalization processes, supranational and multilateral cooperation, sustainable policies and asserting human rights. UNDP works in nearly 170 countries and territories, helping to achieve the eradication of poverty, and the reduction of inequalities and exclusion. We help countries to develop policies, leadership skills, partnering abilities, institutional capabilities and build resilience in order to sustain development results. UNDP focuses on helping countries build and share solutions in three main areas: sustainable development, democratic governance and peacebuilding, climate and disaster resilience. The Network of Regional Governments for Sustainable Development (nrg4SD) is a global network that solely represents regional governments (States, Regions and Provinces) in the fields of climate change, biodiversity and sustainable development, particularly following the mandates of the UN conventions and agendas. nrg4SD was established in 2002, at the World Summit in Johannesburg, and today has over 50 members from 30 countries on 4 continents. The mission of nrg4SD is to promote sustainable development at the level of regional governments around the Globe ; to act as the global voice and representative of regional governments in the field of sustainable development ; to seek a wider recognition at international level of the importance of regional governments towards sustainable development ; to contribute to the elaboration and implementation of responsible and ambitious territorial policies, actions, tools and resources, adapted to the regional level ; to encourage exchange of expertise, cooperative projects and partnerships among members, as well as between them and other major international stakeholders ; and to bring the voice of regional governments, often the level of government responsible for implementing policies adopted at the national and international level, to the table. Take a look at the full catalogue of Interreg MED projects. With all the projects presented according to their thematic community: blue growth, green growth, social and cultural innovation, efficient buildings, renewable energies, sustainable mobility, sustainable tourism, biodiversity protection, and Mediterranean governance. For each project, you will find a summary, the description of the partnership and financial elements. The ENI CBC “Mediterranean Sea Basin” Programme was adopted by the European Commission on 17 December 2015. The Joint Monitoring Committee, a body composed of 14 countries – Algeria, Cyprus, Egypt, France, Greece, Israel, Italy, Jordan, Lebanon, Malta, Palestine, Portugal, Spain and Tunisia – was responsible for designing the strategy and implementing modalities of the new Programme. The new Programme will be structured in two overarching objectives declined in four thematic objectives and eleven priorities. The strategy adopted could be amended during the preparation phase of the Programme and until its final approval by the European Commission.